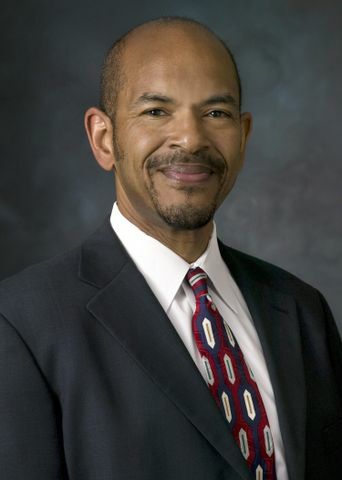 LOS ANGELES, Feb. 12, 2010 -- Northrop Grumman Corporation's (NYSE:NOC) Dr. William L. Jones was awarded the Lifetime Achievement in Aerospace by the National Society of Black Engineers (NSBE) for his technical excellence, leadership, and contributions to the engineering field. He was honored on Feb. 9 at NSBE's Aerospace Systems Conference. "William's dedication to his career and the engineering field is truly exemplary," said Sandra Evers-Manly, vice president of Corporate Responsibility and president of the Northrop Grumman Foundation. "This award is testament to all of his accomplishments." Dr. Jones is a senior staff scientist/sub project manager in the Microelectronics Product Center within the Space and Defense Products Division of the company's Aerospace Systems sector. In this role, he is responsible for all activities related to obtaining monolithic microwave integrated circuits (MMIC) fabricated for flight program payloads. Currently, he is the MMIC sub-project manager for the Advanced Extremely High Frequency (AEHF) program. AEHF is the nation's next-generation, military strategic and tactical relay system, which will deliver survivable protected communications to U.S. forces and selected allies worldwide. Dr. Jones joined TRW as a process development engineer, and he has held numerous technical and management positions related to the development of semiconductor devices and circuits. Dr. Jones earned a bachelor's degree in electrical engineering from the Massachusetts Institute of Technology, and a master's degree and doctorate in electrical engineering from Cornell University.